We suggest you begin your journey at Troy Station, about four kilometers from the Canso Causeway that joins Cape Breton Island to mainland Nova Scotia. It is a beautiful entry point with a magnificent view of St. Georges Bay. The trail is generally flat with periodic modest grades. It continues along the coast for many kilometers at a time following the abandoned rail bed of the I & R Railway that was operational through Inverness County from 1901 to 1985. While the trail follows an old rail bed, the scenery is diverse and never becomes mundane. It should be noted that despite the hills and highlands that Cape Breton is famous for, there is not one hill on this trail that would cause anyone to get off their bike and walk. 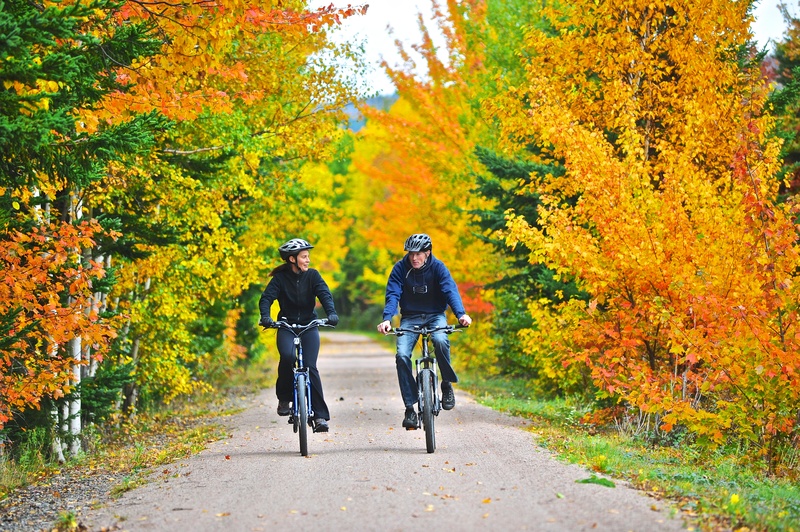 This trail is suitable for any rider of any level, and if any rider wants hills, they can plan their next spin on the Cabot Trail. Maximum trail speed is 30 kilometers per hour unless posted less. Cyclists average 10-15 kilometers per hour. Give yourself lots of time to explore the communities and take in the awesome photo ops. Hikers will want to allow three to four days to allow for stops at the many scenic vistas and lively communities. 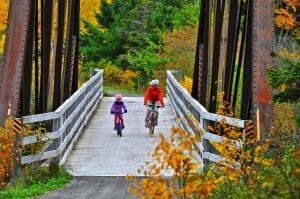 Cyclists can complete the trail in two easy days with allowance for limited stops. Ideally, you would want to plan a four day adventure to immerse yourself in all that this region has to offer. In winter from January through to March, users please remember that snowmobilers, cross country skiers, and groomers all enjoy use of the trail. Be cautious of turns and sightlines at all times. 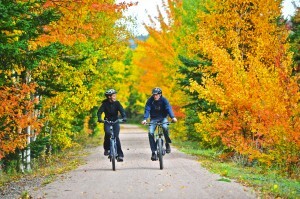 This is a multi-use trail so expect to see walkers, hikers, cyclists, motorized and equestrian users. All wheels must yield to heels and respect for all other trail users and the environment is paramount. A simple wave or “Hi” on the fly to those you meet along the trail is the Celtic Shores way!